Tree Silhouette Brushes Pack - Free Photoshop Brushes at Brusheezy! Introducing the new Tree Silhouette Brushes Pack! Included in this bonsai style pack are ten different tree silhouette brushes and range from pine trees brushes to palm trees brushes. You'll love the variety in this tree silhouette brushes pack. 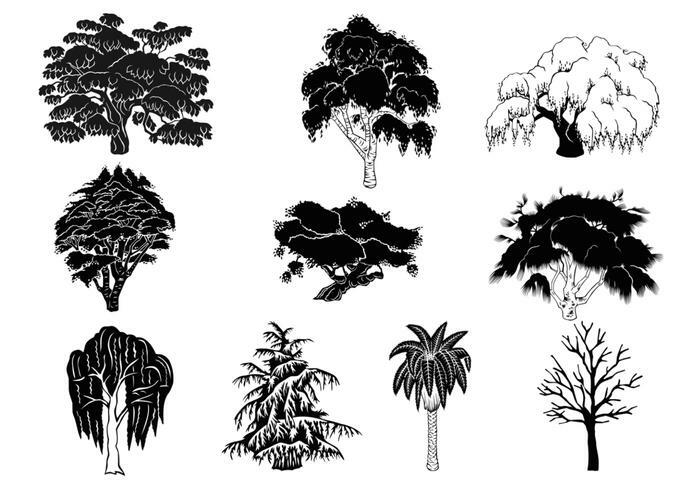 Head over to Vecteezy for the vector pack and download the <a href="http://www.vecteezy.com/nature/49540-tree-silhouette-vector-pack/premium">Tree Silhouette Vector Pack</a>!